My tale of DIY lash extensions began in tragedy, but it ended in sweet, budget-friendly harmony. One day, while hanging out with a friend, I noticed that she had these long, fluttery lashes that she didn't have the last time I saw her. I assumed they were extensions, but she told me they were false lashes that she'd applied with "permanent lash glue." As a beauty editor, I was ashamed that I didn't know such a thing existed, but nonetheless, I was intrigued and completely mystified. "But how do they come off? Can you shower with them on? How do you wash your face?" I spat out questions like bullets from my mouth, but she took them all in stride. 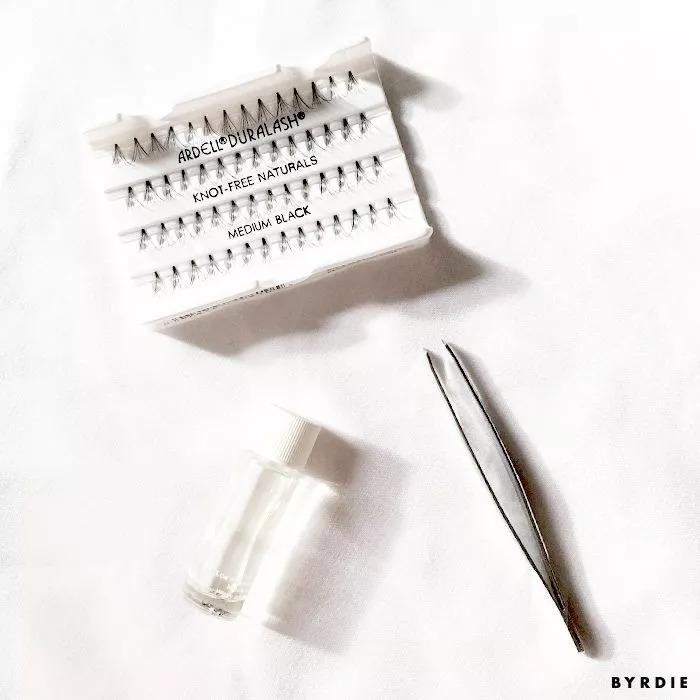 It turns out that you need to use a special remover to get the glue off, but because it's so sturdy, you can gently wash your face and get them wet without having to worry about rogue lashes falling off in clumps. The best part: They last for weeks. I've been dying to get lash extensions, but I haven't wanted to cough up the money, so this sounded like the perfect solution. That is until I tried it. 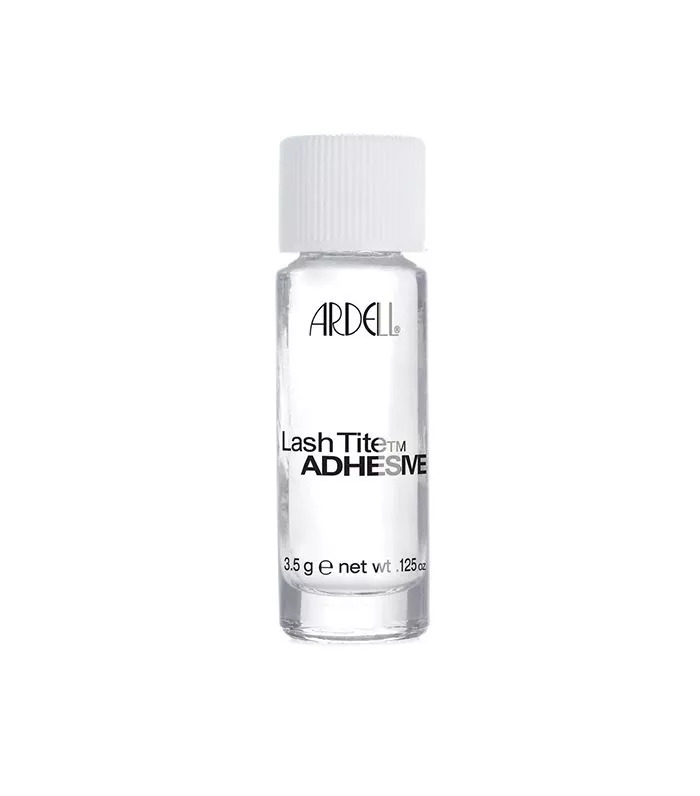 I contacted the lovely team at Ardell, and they sent me their permanent glue, LashTite Clear Adhesive ($5), and a friendly note saying that I needed to use the included LashFree Remover to take them off, otherwise, my real lashes could come off with the falsies (yikes). I was cautious, but I was pumped. 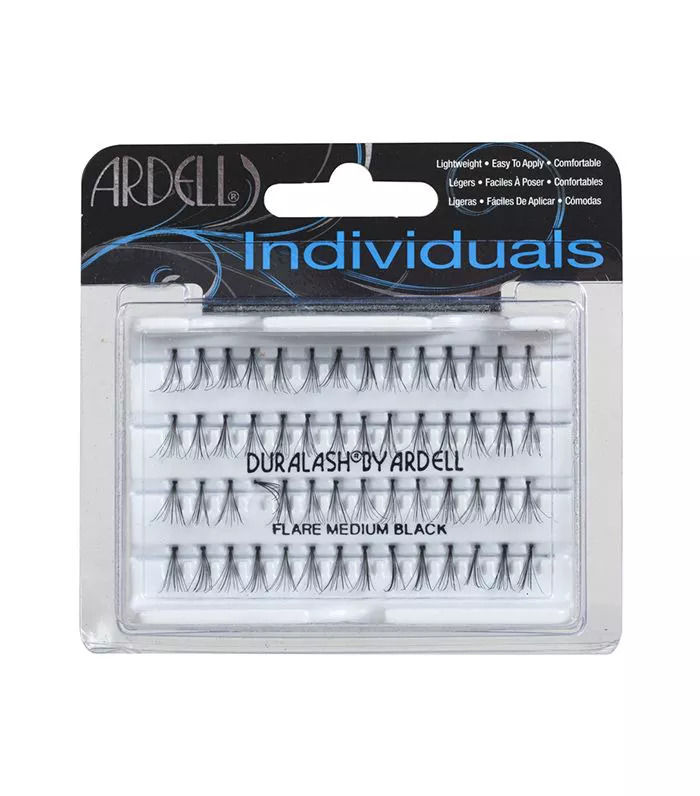 I spilled a few drops of the LashTite onto a piece of foil as instructed on the box, and then I dipped an Ardell into the glue and applied it right on top of my own lashes (sticking the glue onto your lid is a no-no, I'm told). Things were going well until I decided the glue was looking clumpy and the lashes weren't sticking on well, so I washed my face to get all the glue and lashes off and start over again. Big mistake. The glue got in my eyes, and it stung like holy hell. With one eye open, I even googled "getting permanent lash glue in eyes going blind" and prayed that I'd wake up with my vision the next morning. It was bad. Thankfully, the next day, I was fine (save for a minor headache), so I gave my eyes a rest for a few days and tried again. The second time around, I knew not to use so much glue and to work more quickly, as the glue tends to get tacky, and it dries fast while it's on the foil. I also applied a few of the shorter lashes toward the inner corner of my eyes for a more natural progression, as celebrity makeup artist . There was no clumping and no burning—just feathery, realistic lashes. Don't get me wrong, I have tremendous respect for lash extension experts, and I marvel at the natural-looking, intricate work they're able to create. However, I don't have the budget to pay $130 to $200 for a full set, so I'm happy that I've found a solution that only costs me $10. Is it perfect? 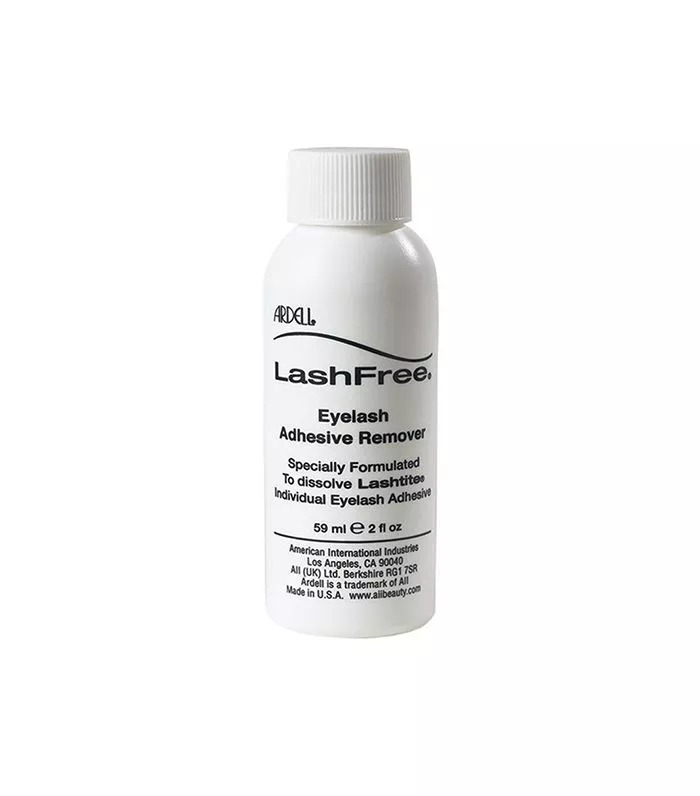 Are the bases of the lashes undetectable? No, but I didn't wear mascara to work for days after I applied them, which is something I've never done, and I still felt awesome, so I'm chalking it up as win. They also lasted me one and a half weeks, and they probably could've lasted longer if I was a bit more careful when I washed my face and didn't thrash around while I slept. When it was time to take them off, I will admit the process took a bit of elbow grease and patience. Some of the lashes were stuck on like concrete, so I needed to work at them with both my fingernails and a cotton ball soaked in the LashFree Remover. This resulted in a few of my own lashes coming out (cries internally), but it wasn't noticeable or too heart-wrenching. All in all, though, I'm in love with the look and the price. Have you ever gotten eyelash extensions? Would you try doing them yourself? Tell us below!